Different countries, different traditions. 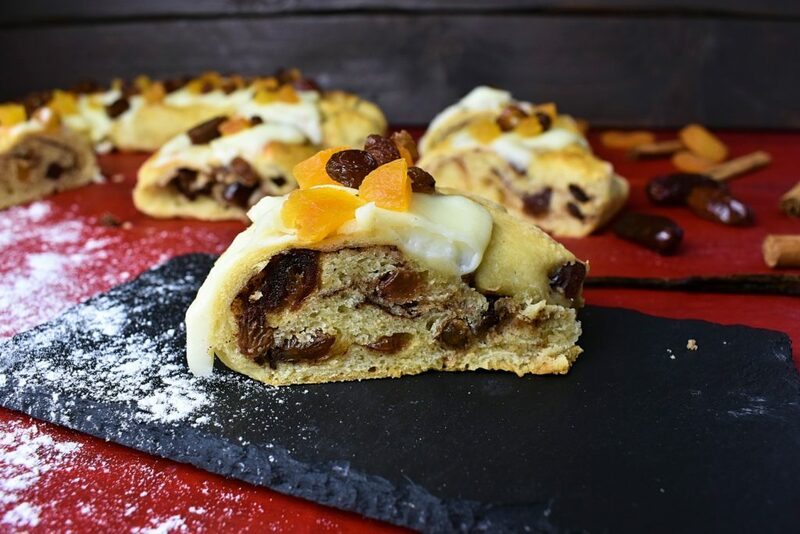 Spanish people have a special cake served on the 6th January, Epiphany. This is the peak of Spanish Christmas holiday when all the family members sit together, changing presents. Kids are waiting for the three kings (Three wise men) bringing them gifts they wanted to have all year long. 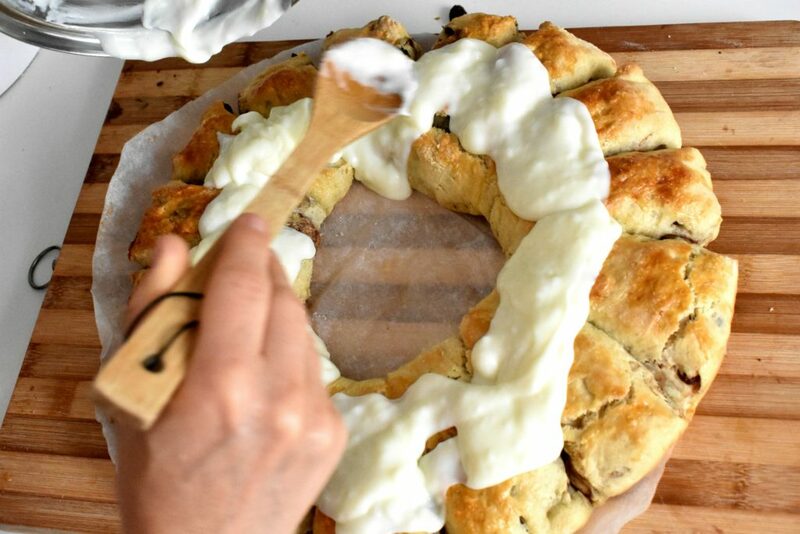 They finish lunch or dinner with this delicious cake, called Roscon de Reyes. This is a sugar free recipe but it contains so many goodies that it really struggles to qualify as a low carb cake. 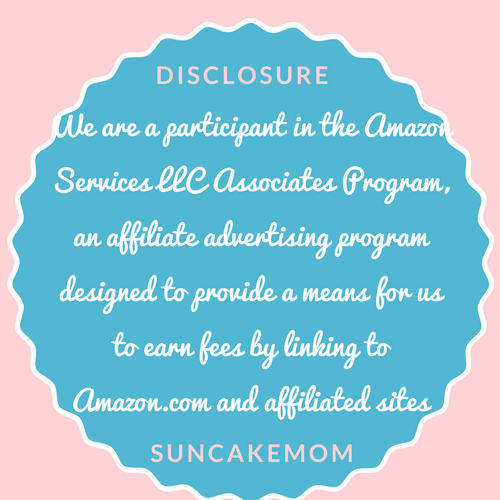 Also as always we may use more sweetener here and there according to our taste. 1. In a cup, combine the warm (not hot!) milk and the yeast. Stir to blend. Let it stand for 5 minutes. If it gets foamy don’t worry it’s normal. 2. In a large bowl, mix the 4 cups of flour, 2 eggs, yeast and milk mixture, softened butter, the pinch of salt and the honey very well until the dough gathers into a ball. 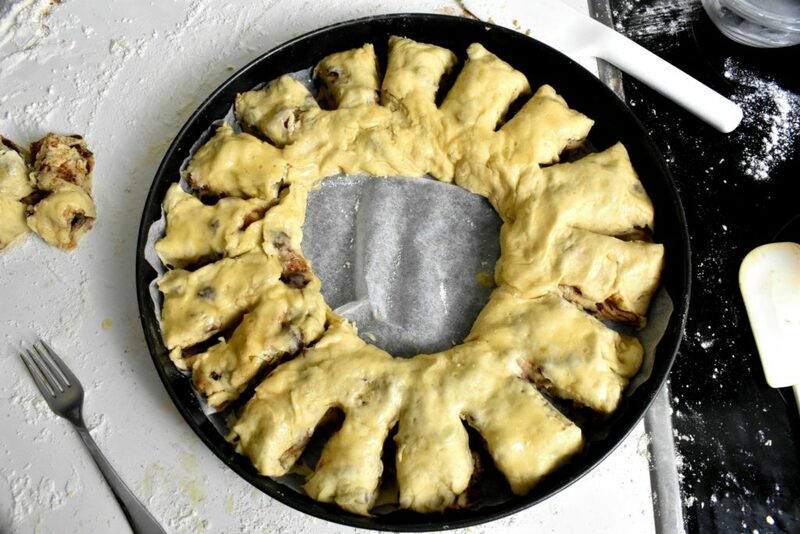 If the dough is too sticky, add some additional flour until it separates from the edge of the bowl, a little at a time if needed to form a soft dough. 3. Cover the bowl and leave it in a warm place for about 45 minutes to rise. 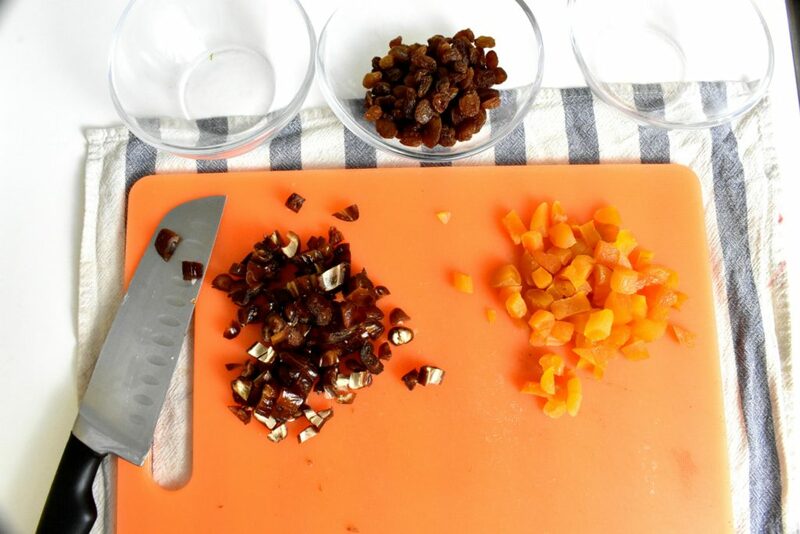 Meanwhile cut dried fruit and prepare cinnamon and honey for the filling. 4. 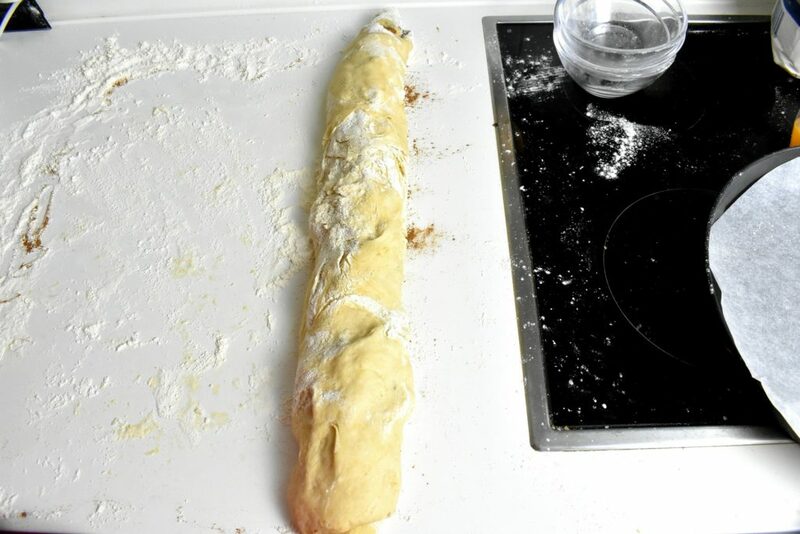 Turn the dough out onto a lightly floured surface and knead until it’s smooth and elastic, leave it out for about 10 minutes, covered with a kitchen towel. 5. 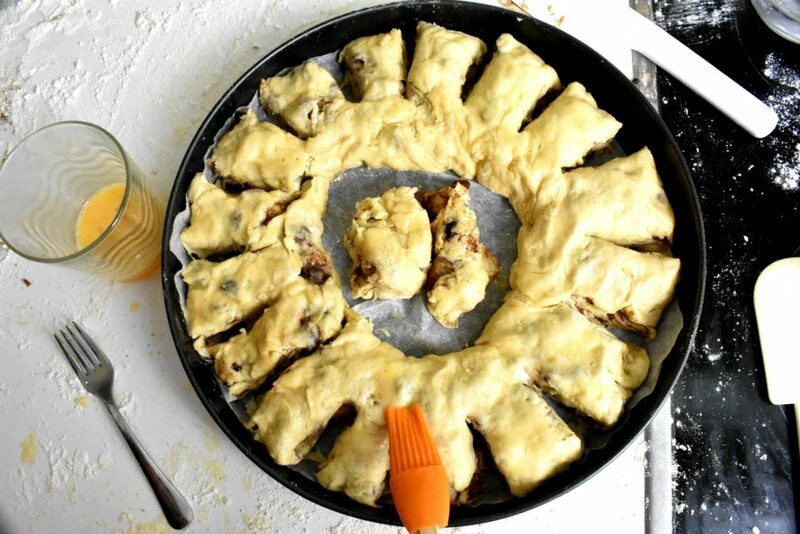 Cover the flat dough with the cinnamon and optionally honey. 6. 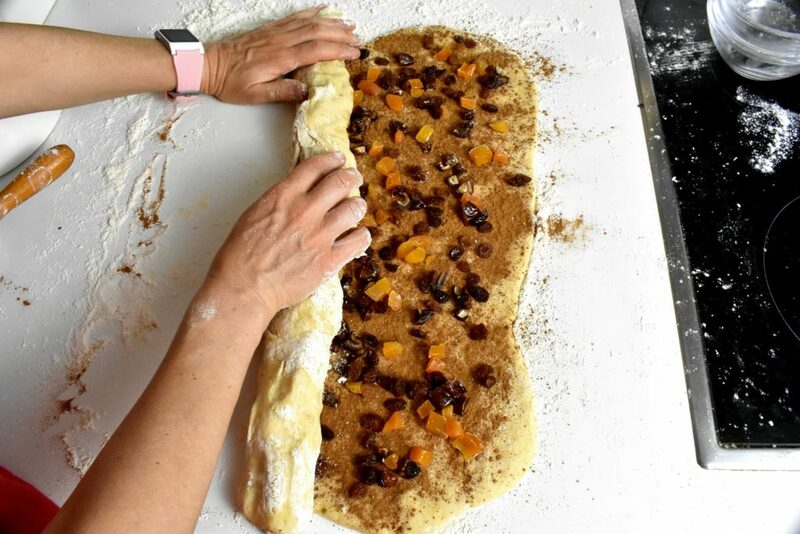 When it’s done sprinkle the dried fruit evenly on it. 7. Roll it up to form a rope. 8. Shape the coil into a ring, sealing the ends together. 9. 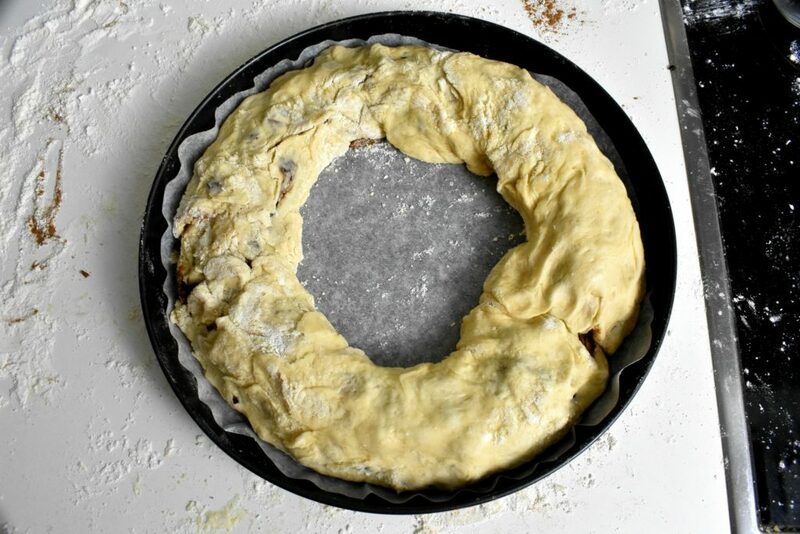 Carefully transfer the dough ring to the prepared baking pan. 10. Make a couple of 1 inch deep cuts on the outside of the ring. If the ring seems too tight we can always take a couple of pieces out and rearrange the ring. This will allow the dough more space to raise. 11. Optionally brush the top with egg yolks. 12. Put it into the 350°F / 180°C preheated oven and bake it for half an hour. Check if it’s baked with a tooth pick or needle. Put it back if needed. 13. Prepare icing in a cup combine flour, vanilla, honey and some milk. Mix them until smooth. 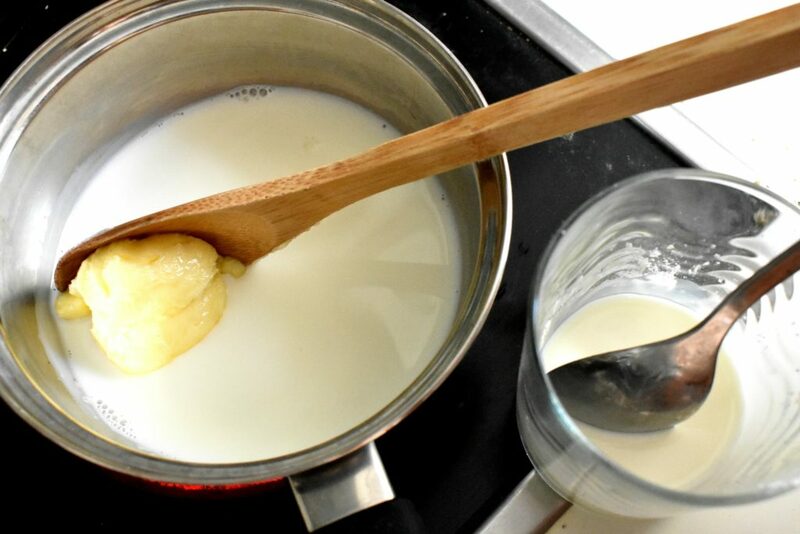 Put butter and the rest of the milk into a small pan and heat it. Pour the content of the cup into the pan, mix them together evenly. Then pour the mixture on top of the cake. 14. 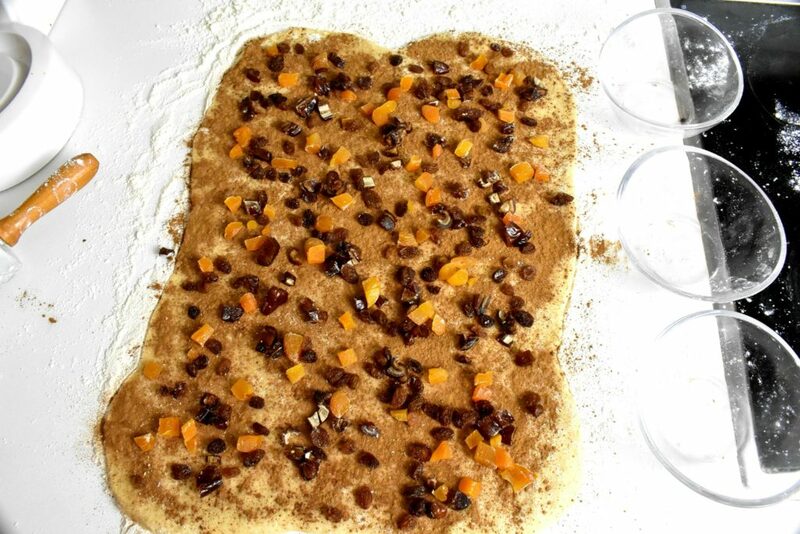 Sprinkle dried fruit on top to decorate. 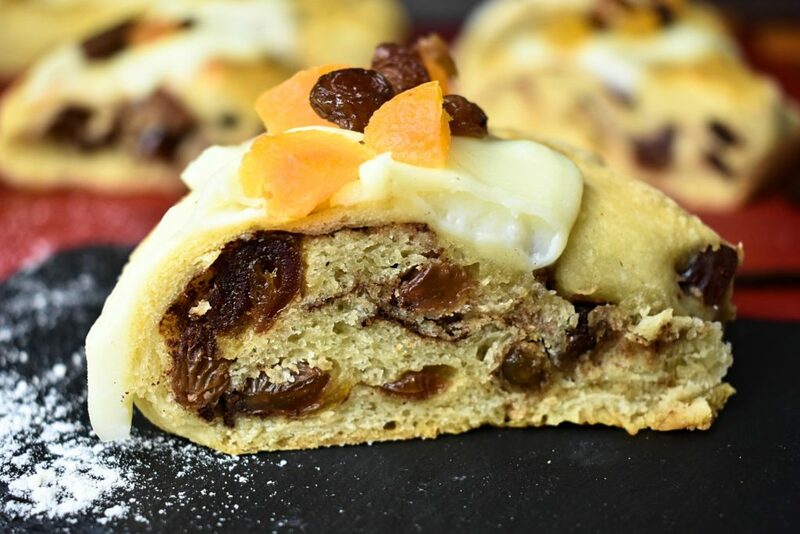 It’s a lovely dessert whenever we feel like spoiling the family our looking something to nibble with our coffee. 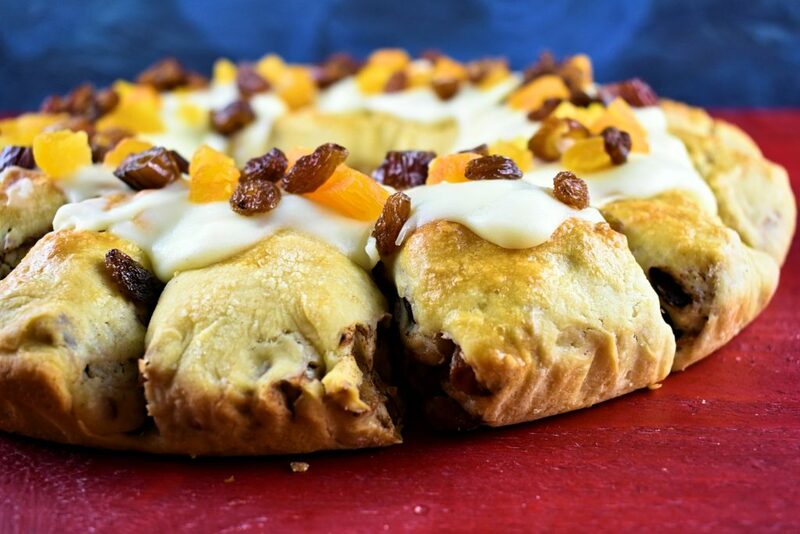 Celebrate Epiphany or any Sunday with this mouthwatering Roscon de Reyes. In a cup, combine the warm (not hot!) milk and the yeast. Stir to blend. Let it stand for 5 minutes. If it gets foamy don't worry it's normal. 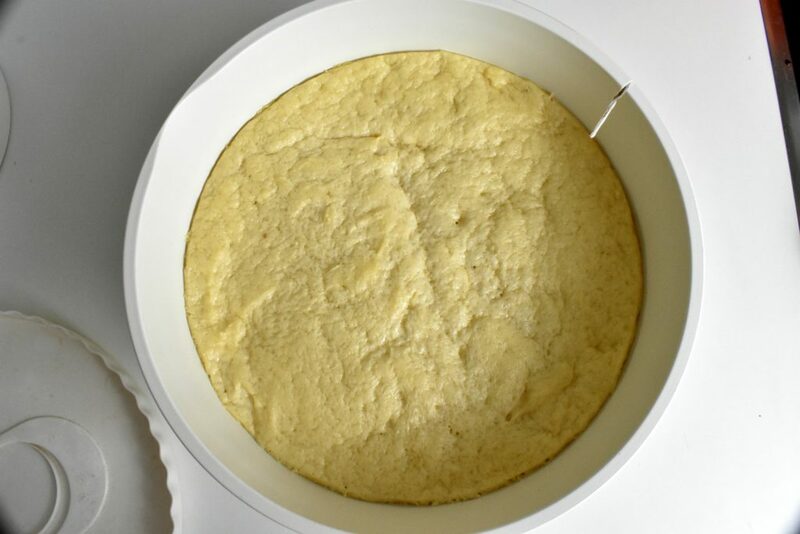 In a large bowl, mix the 4 cups of flour, 2 eggs, yeast and milk mixture, softened butter, the pinch of salt and the honey very well until the dough gathers into a ball. 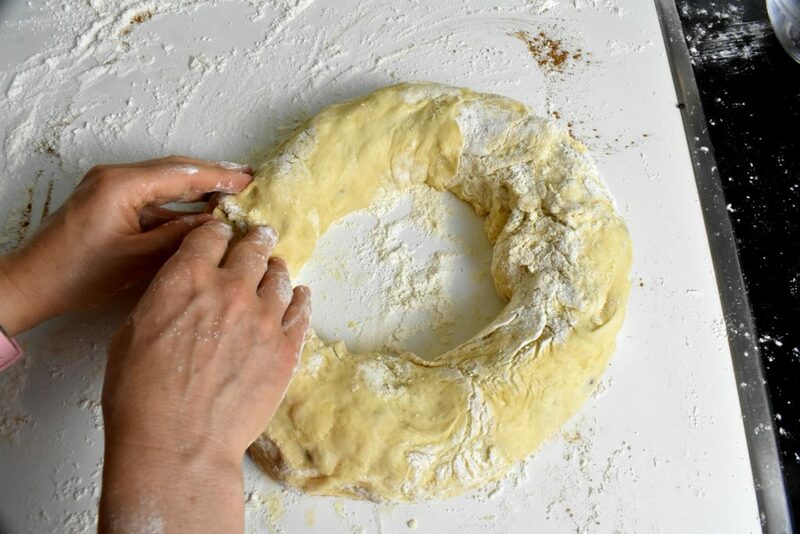 If the dough is too sticky, add some additional flour until it separates from the edge of the bowl, a little at a time if needed to form a soft dough. Cover the bowl and leave it in a warm place for about 45 minutes to rise. 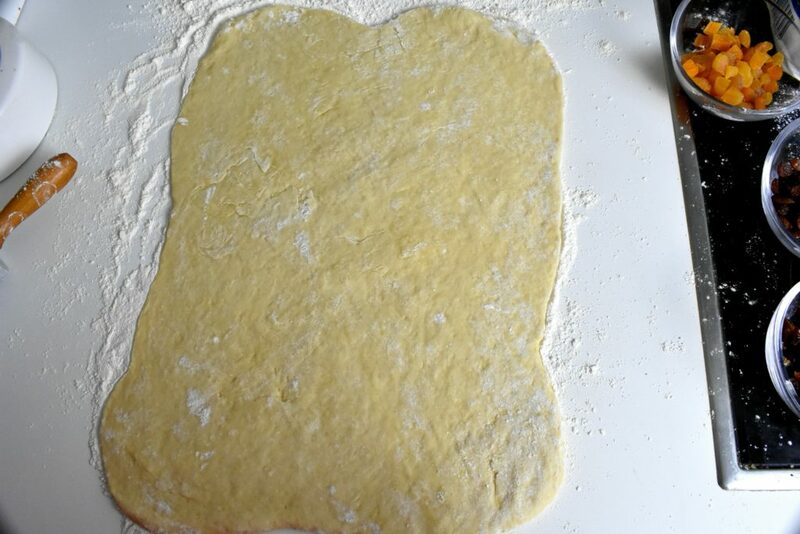 Turn the dough out onto a lightly floured surface and knead until it's smooth and elastic, leave it out for about 10 minutes, covered with a kitchen towel. 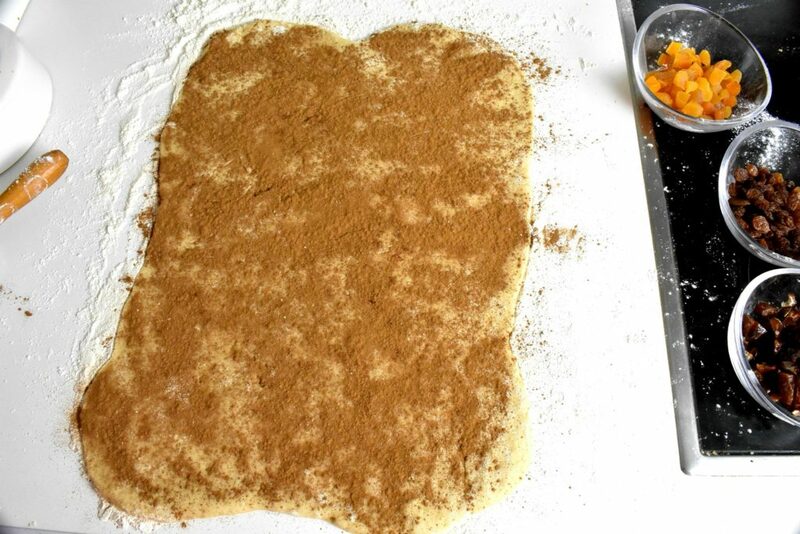 Cover the flat dough with the cinnamon and optionally honey. When it's done sprinkle the dried fruit evenly on it. Roll it up to form a rope. Shape the coil into a ring, sealing the ends together. 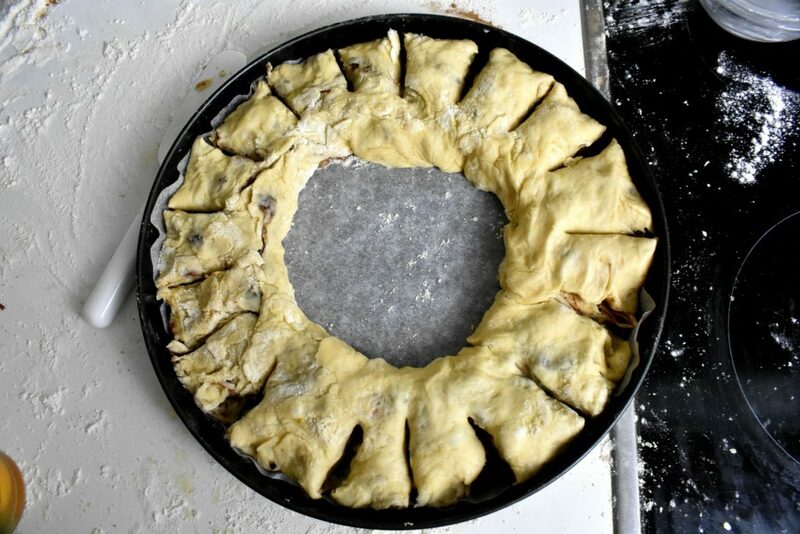 Carefully transfer the dough ring to the prepared baking pan. Make a couple of 1 inch deep cuts on the outside of the ring. If the ring seems too tight we can always take a couple of pieces out and rearrange the ring. This will allow the dough more space to raise. Optionally brush the top with egg yolks. Put it into the 350°F / 180°C preheated oven and bake it for half an hour. Check if it's baked with a tooth pick or needle. Put it back if needed. Prepare icing in a cup combine flour, vanilla, honey and some milk. Mix them until smooth. Put butter and the rest of the milk into a small pan and heat it. Pour the content of the cup into the pan, mix them together evenly. Then pour the mixture on top of the cake. 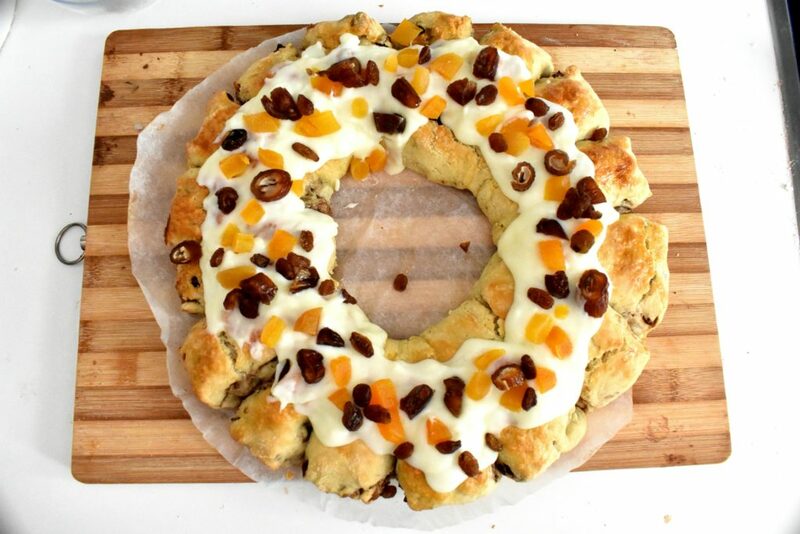 Sprinkle dried fruit on top to decorate. 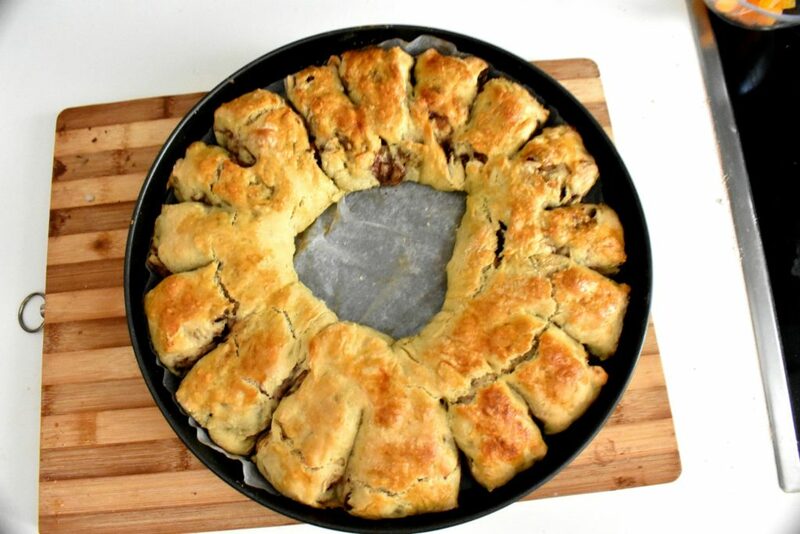 It's a lovely dessert whenever we feel like spoiling the family our looking something to nibble with our coffee. I loved this cake back in Spain and I love it even more from my oven!